Smith, Denis. "War Measures Act". The Canadian Encyclopedia, 21 January 2019, Historica Canada. https://www.thecanadianencyclopedia.ca/en/article/war-measures-act. Accessed 23 April 2019. The War Measures Act was a federal law adopted by Parliament on 22 August 1914, after the outbreak of the First World War. 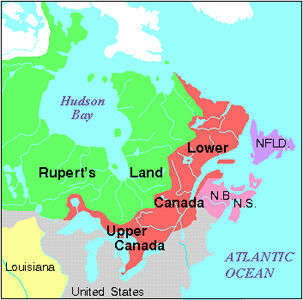 It gave broad powers to the Canadian government to maintain security and order during war or insurrection. It was used, controversially, to suspend the civil liberties of people in Canada who were considered “enemy aliens” during both world wars, leading to mass arrest and detention without charge or trial. The Act was also invoked during the 1970 October Crisis in Quebec. It has since been replaced by the more limited Emergencies Act. 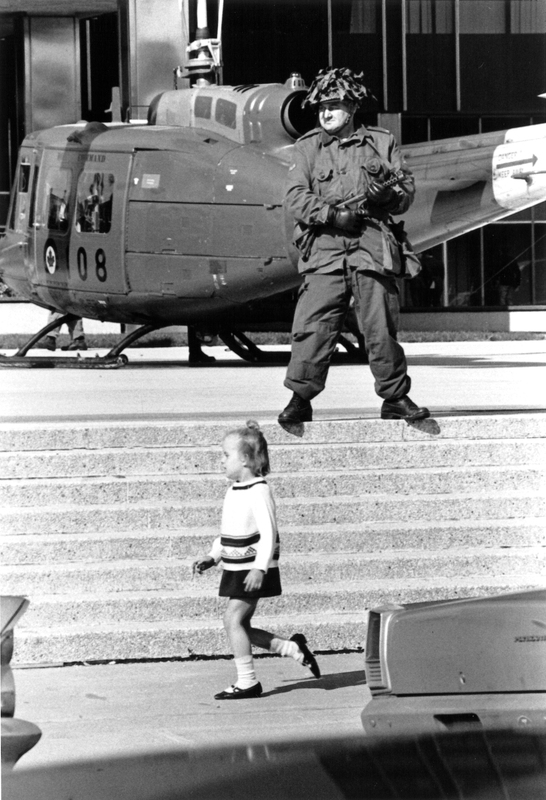 Soldier and child, 18 October 1970, during the October Crisis (courtesy Library and Archives Canada/PA-117477). The Act gave the government full authority during wartime to censor and suppress communications; to arrest, detain and deport people without charges or trials; to control transportation, trade and manufacturing; and to seize private property. As a result, the Act was used to ban 253 publications, including 222 American, 164 foreign-language and 89 leftist publications.Following the Bolshevik Revolution in Russia in 1917, socialist	reading materials in particular were targeted for censure, and membership in left-leaning or pacifist organizations was forbidden. As well, people were arrested and interned for their political beliefs. Thousands of civilians were interned under the authority of the War Measures Act when the government labelled them “enemy aliens” (see Prisoner of War Camps in Canada). 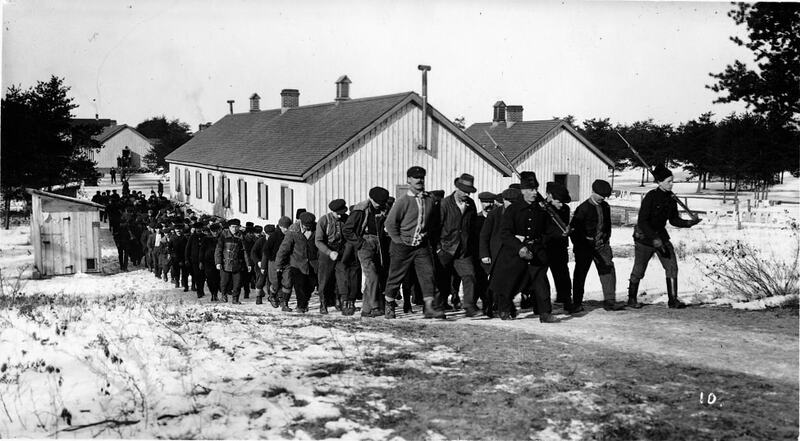 While most internees were recent immigrants from the Austro-Hungarian, German and Ottoman empires, some were Canadian-born or naturalized British subjects (see Internment in Canada). Another 80,000 people, mostly Ukrainian Canadians, were forced to register as enemy aliens, carry identity papers and report regularly to the police. Over the course of the war, the federal government interned 8,579 enemy aliens in 24 receiving stations and internment camps across the country. Of the total number interned, 5,954 were of Austro-Hungarian origin, including Croats, Ruthenians, Slovaks, Czechs	and Ukrainians; 2,009 were German; 205 were Turks	and 99 were Bulgarians.According to Sir William Dillon Otter, who was in charge of internment operations, 3,138 detainees were actual prisoners of war	— meaning they had been captured or were enemy reserves. The rest were civilians. Internees also had their property confiscated, much of which was not returned at the end of the war. During their internment, they were often required to work on large labour projects — even building a portion of the golf course at Banff National Park	— as well as building roads, clearing bush, cutting trails and working on logging and mining operations. They were paid less than half the daily wage offered to other labourers. The debate over conscription (mandatory war service) divided the country at the end of the First World War (see Military Service Act). Eventually, riots over the issue broke out in Quebec, where support for the war had been weak. 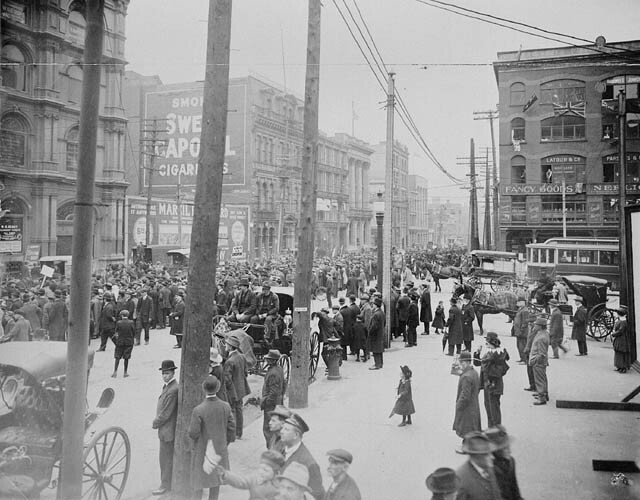 In 1918, the government used the War Measures Act to quell the anti-conscription Easter Riots in Quebec City between 28 March and 1 April 1918, proclaiming martial law and deploying over 6,000 soldiers. Rioters attacked the troops with gunfire and with improvised missiles, including ice and bricks. The Easter Riots grew increasingly violent and resulted in as many as 150 casualties, including four civilians killed when soldiers returned fired on armed rioters. 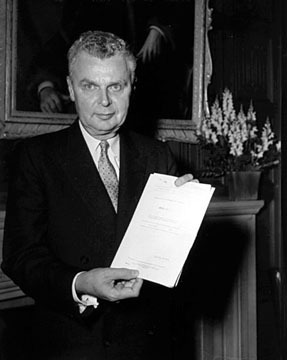 The War Measures Act was invoked again during the Second World War — brought into force on 25 August 1939 and replaced by similar legislation on 31 December 1945. One week before Canada declared war, the Act was used to implement the Defence of Canada Regulations and to establish the Wartime Prices and Trade Board. Both measures would have significant impact on Canadian lives. The Wartime Prices and Trade Board was established on 3 September 1939 to ensure that the high levels of inflation and social unrest the country experienced during the First World War	were not repeated. Through the board, the government eventually took full control of the Canadian economy, establishing wage and price controls, setting limits on rental and housing costs and the price of goods such as steel, timber, coal, milk and sugar. At first, the Board applied only partial limits, but this changed after 1941, by which time the cost of living increased dramatically. Though the cost of living increased by 17.8 per cent between 1939 and 1941, it increased by only 2.8 per cent from 1941 to the end of the war in 1945. Although these measures were successful in controlling wage and price increases, they also resulted in shortages of certain goods and put immense pressure on farmers and business owners. The Defence of Canada Regulations were implemented on 3 September 1939. They gave the authorities the ability to censor 325 newspapers and periodicals and to ban more than 30 religious, cultural and political organizations, including Jehovah’s Witnesses	and the Communist Party of Canada. The Defence of Canada Regulations also allowed the Minister of Justice to detain anyone without due process who acted “in any manner prejudicial to the public safety or the safety of the state.” As a result, free speech was restricted under the regulations, and any person critical of government positions could be interned without charge or trial. 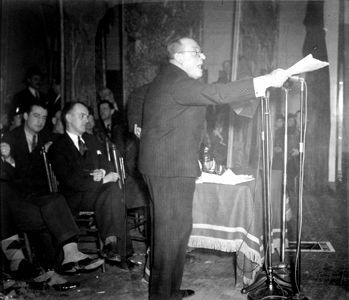 In one high profile case, Montreal	mayor Camillien Houde was arrested at city hall in 1940 and interned in Ontario for four years for denouncing government policies that would lead to conscription. As in the First World War, thousands of “enemy aliens” were interned on the suspicion they posed a threat to the safety of the state. About 600 Italian Canadians and 800 German Canadians were interned during the war. 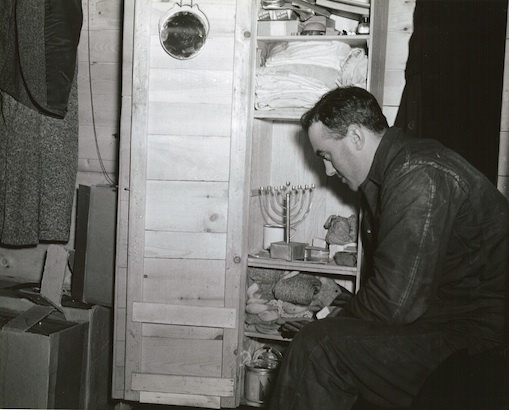 Jewish	refugees from Europe (see Canada and the Holocaust) and pacifist Mennonites	were also interned in Canada. Approximately 22,000 Japanese Canadians on the West Coast were interned or exiled to remote areas of interior British Columbia	and east of the Rocky Mountains in 1942. 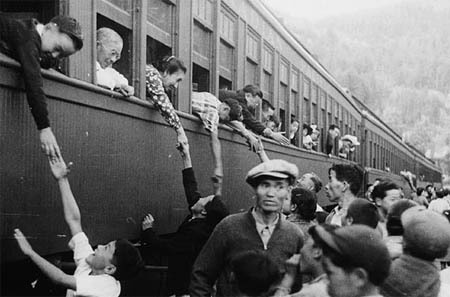 The government also stripped Japanese Canadians of their property and pressured them to accept mass deportation when the war ended, all made possible by the powers given to Cabinet under the War Measures Act (see Internment of Japanese Canadians). In 1942, the federal government asked the Kettle and Stony Point Band (now the Kettle & Stony Point First Nation) to surrender reserve	land for use as a military training camp. When the nation refused, the government appropriated the land under the War Measures Act, giving the Kettle and Stony Point Band around $50,000 in compensation and relocating them to the Kettle Point Reserve nearby. Despite promises that the relocation would be temporary, the reserve remained a military camp into the 1990s (see Ipperwash Crisis). The War Measures Act was not used during the Korean War (1950–53). However, emergency and transitional power legislation was in place between the end of the Second World War and the end of the Korean War. From 1951 to 1954, for example, certain more limited powers were granted to Cabinet under an offshoot of the legislation called the Emergency Powers Act. However, Section 2 of the Bill of Rights states that Parliament can override the rights the bill affords by inserting a “notwithstanding” clause in the applicable statute	passed by Parliament (such as the War Measures Act). This was done only once, during the 1970 October Crisis. The only use of the War Measures Act in a domestic crisis occurred in October and November 1970, when a state of “apprehended insurrection” was officially declared to exist in Quebec	as of 15 October 1970. Emergency regulations were proclaimed in response to two kidnappings by the terrorist group Front de Libération du Québec	(FLQ). The FLQ had kidnapped British trade commissioner James Cross and Quebec labour minister Pierre Laporte, who was found dead on 17 October. As authorities grappled with the crisis, the FLQ was outlawed and membership in the group became a criminal act. Over the course of the crisis, police conducted more than 3,000 searches and detained 497 people under the powers of the Act; 435 were later released without the laying or hearing of charges, and 62 were charged. Emergency regulations under the War Measures Act were replaced in November 1970 by similar regulations under the Public Order (Temporary Measures) Act, which lapsed on 30 April 1971. The suspension of civil liberties in Quebec was politically controversial. When the crisis was over, Prime Minister Pierre Trudeau	pledged to refine and limit the application of the Act in internal crises, but by the time of the defeat of the final Trudeau government in 1984, the Act had not been modified. In the decades following the world wars, Canadians who had been interned and who had their property seized began lobbying for compensation for and recognition of their wartime treatment. The Japanese Canadian redress movement resulted in an official apology from the Prime Minister on the floor of the House of Commons in 1988, as well as compensation to people affected by the government’s invocation of the War Measures Act. 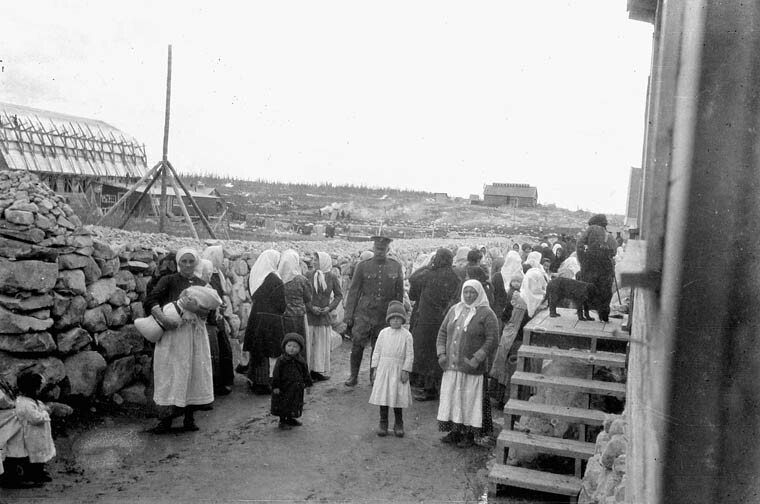 In the case of people interned during the First World War, a community settlement fund was established in 2008 to support commemorative and educational projects about Canada’s first national internment operations. The War Measures ActClick on the link to see the full text of the 1914 War Measures Act. From the Council on Foreign Relations website. 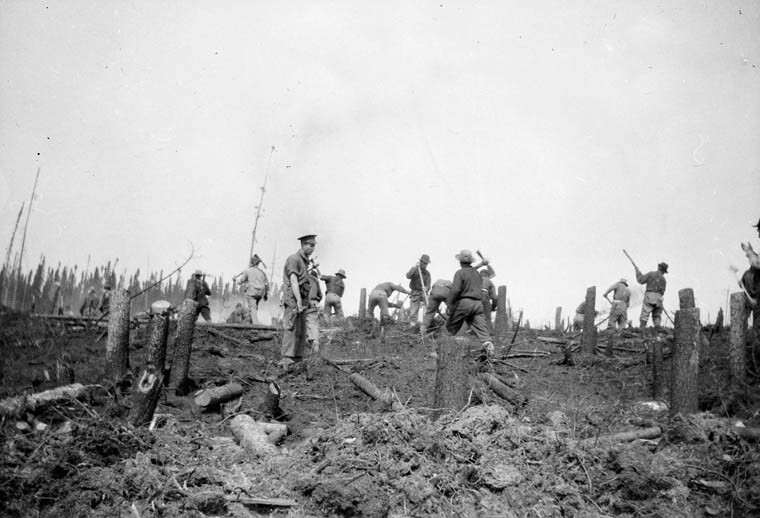 First World War (1914–18)Extensive online resources about Canada's military role in the First World War from Veterans Affairs Canada. Emergencies ActA history of the War Measures Act and the Emergencies Act from the Government of Canada website.